Thanks to everyone who ordered one of our special prime ribs for their Holiday feasts. Call us starting early next November to reserve your prime rib for the 2019 holidays. 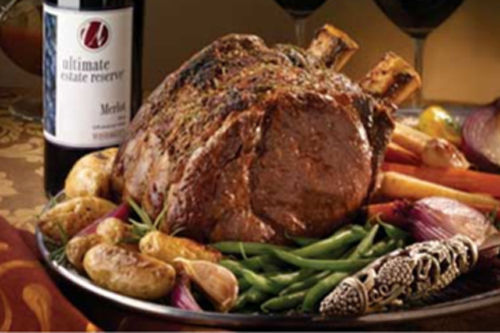 It's our way of sharing the holiday with you here at Innovative Foods: Every year, for a limited time, we custom cut prime rib for the holidays. These very special cuts of aged beef are always fresh, not frozen, and cut just for you. Because we cut the meat to allow a generous serving per each guest, we ask that you provide us the number of people to be served, rather than a specific pound weight. You may order any time after Nov. 1, 2018. We will call to confirm your order, so you can rest assured it has been received and will be available for your holiday dinner. Please call us at 970-330-8400 to order.